March 25, 2011–Las Vegas, NV: At race mile 11.5 of The Mint 400 Kevin Sacalas of Big Ugly Racing experienced a rollover at 96 miles per hour (MPH). 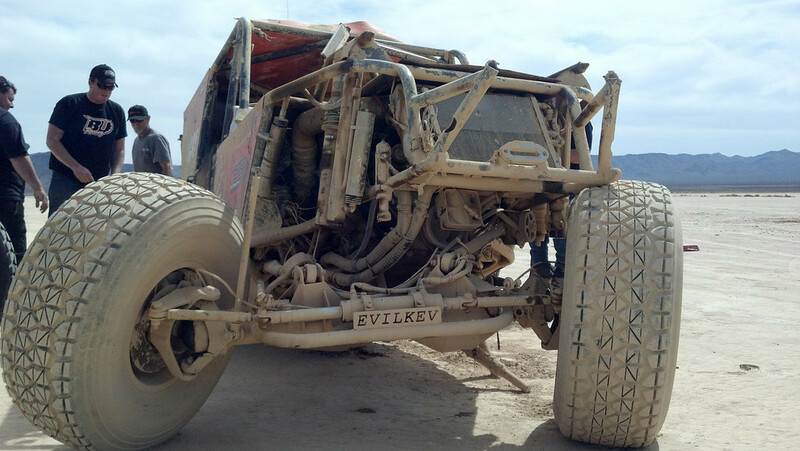 While this was Sacalas’ first time racing The Mint 400, he is no stranger to desert racing. Sacalas placed first in the Ultra4 class in the 1000 mile 2009 Best in the Desert Vegas to Reno race and second in the 2010 Best in the Desert Silver State 300. 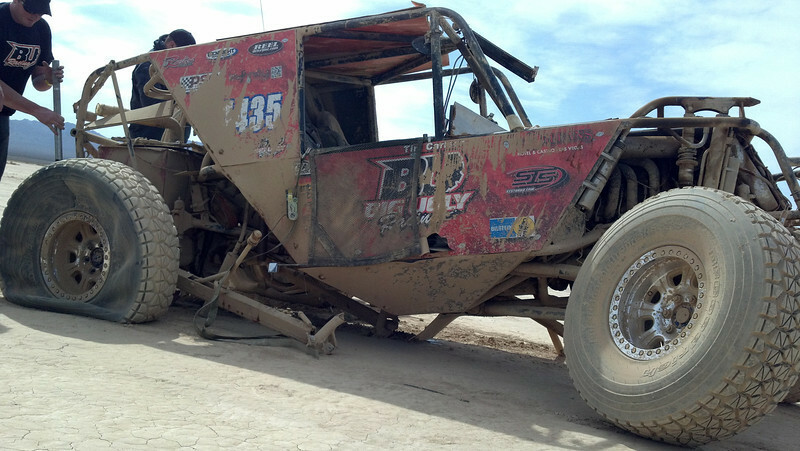 Sacalas was racing in the Ultra4 (4400) class and started in the 31st row off the line and first for the 4400s. He had passed nearly a dozen cars in the first ten miles when he came upon a trophylite. On board camera footage shows Sacalas overtaking the vehicle on the left as the trophylite turns slightly towards Sacalas causing Sacalas’ rear right tire to connect with the driver door of the trophylite sending Sacalas’ car into a barrel roll three and a half times before coming to an upside-down stop. Both Sacalas and co-driver, Bryan Grigsby exited the vehicle on their own and quickly put out a car fire caused by the rollover. Both Sacalas and Grigsby suffered only minor injuries. Sponsors –The Orleans Casino, BFGoodrich Tires, Artek Industries, STS Turbo, GenRight Off Road, Raceline Wheels, RCV Performance and Spidertrax.